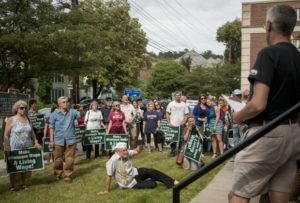 Close to 100 people attended our combined Rally and Presentation to the Tompkins County Legislature on Monday, June 19th to propose Legislation to the Legislature that the minimum wage in Tompkins County become a Living Wage. See detailed FAQ of the campaign here. On Wednesday, June 14th, the Town of Enfield became the 5th municipality in Tompkins County to formally urge the County to enact a Living Wage Minimum Wage. Enfield joins the Towns of Dryden, Caroline, and Ithaca as well as the City of Ithaca as Tompkins County locales that support the move to a Countywide Living Wage. These five local governments represent 71% of the County’s population. Without a Living Wage too many of our neighbors cannot support themselves or their families. This is unfair to these workers, unjust in a society filled with wealth, and immoral in a community that values and supports families. (According to an Economic Policy Institute Family Budget Calculator from 2015, Tompkins County is the EIGHTH most expensive place to live in the nation for a family of four). 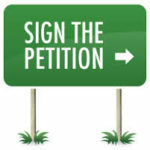 Sign the petition in support the campaign. And consider getting a yardsign in support of the campaign, please contact the TCWC by either responding to this email or calling our office at 607-269-0409, or by dropping by the TCWC during normal business hours.